A 5.8-inch splash, water, and dust resistant notch phone powered by an A12 Bionic chip, sports dual rear cameras, and is supported by a better performing battery than iPhone X. The lowest price of Apple iPhone XS is P54,990 at Taiyen General Merchandise, Shanylle General Merchandise and ebay philippines, which is 49% less than the cost of iPhone XS at AliExpress (P107,708.40). This smartphone is available in 64GB, 256GB, 512GB storage variants. 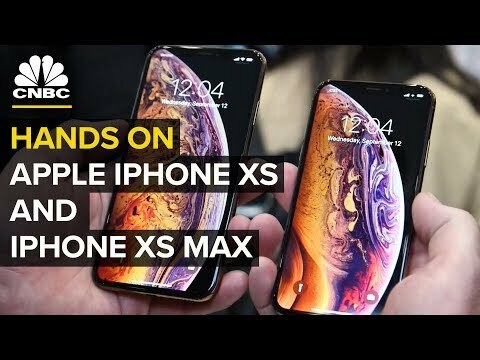 The latest price of Apple iPhone XS was updated on Apr 23, 2019, 10:18.
iPhone XS and XS Max: Are They As Durable As They're Expensive? Are you up for the new iPhone? When it comes with the Apple iPhone XS design, it both has that fancy and luxurious look. It has the same shape, same frame, but different kind of glass compared to its siblings. It has that glass-sandwich design and that stainless-steel frame. The Apple iPhone XS has the same steel frame as the X with a glossy finish. You can feel the slipperiness because of the glossy and steel finish of the mobile phone. The glasses on the iPhone XS are made by Corning Gorilla Glass, but Apple puts an additional oleophobic coating on them. These help to keep fingerprints away and while the iPhone XS, as the iPhones before it, eventually gets covered in smudges too, it takes more time for that to happen and they are easier to clean. There is another feature added to the iPhone XS, it has the sealing against dust and liquids. This has that protected sealing since it is now IP68-rated for up to 2m dive for 30 mins, up from the previous IP67 rating for 1m deep water. It has been tested in various conditions, including salt water that is not covered by the IP68 rating, and it did survive. The Apple iPhone XS has the same notched display like any new mobile device released this year. It has that famous notch design that everyone wants to have in their devices. This was originally seen from the iPhone X and became the spark of the notched revolution. The Apple iPhone XS has a 5.8 inch AMOLED screen display with HDR video support and 1125 x 2436px resolution. It comes with a pixel density which is 458 ppi which is a pretty flagship level for all devices. For its camera, it has a similar dual-12MP wide+telephoto camera setup as the iPhone 7, 8 Plus, and X. It also has a wide-angle sensor that sits behind the same f/1.8 lens, the telephoto behind a f/2.4 lens, both with optical image stabilization, just like on the iPhone X. It is also equipped with a quad-LED dual-tone flash which is here to stay, as well as the large piece of scratch-resistant sapphire glass that is supposed to keep everything away from harm's way. When it comes with performance, as a new iPhone release it will have the latest Apple iOS, and that's the case with the Apple iPhone XS. Running through the iOS 12, which was unveiled in June and released for all compatible devices this September. The new iPhone XS and XS Max are both powered by Apple's first 7nm chipset which is the A12 Bionic. Apple is famous for making chart-topping and power-efficient chips, so the A12 is building on this legacy. The iPhone XS is powered by a 2,658 Li-ion non-removable mAh battery. It has the same capacity as the iPhone X and 8 Plus. It is still a one-piece L-shaped battery which is an improvement over the iPhone X's two-piece cell. Apple never fails to make all Filipinos go purchase their mobile devices. This is because no matter how expensive these devices are, they are truly equipped with great design and features. The Apple iPhone XS is one of the new phones that is the talk of the town in the Philippines. The iPhone XS is released last September 2018, and its official price is PHP 52,448.
kaylan po ba magiging available ang iPhone XS dito Pinas? ?